Grandma Camp, the annual ritual usually held in Durango, Colorado, moved to Minnesota this year during the week prior to Ken's wedding. Everyone was coming for the wedding anyway, so why not fill his house with week before hand with cousins and kin? 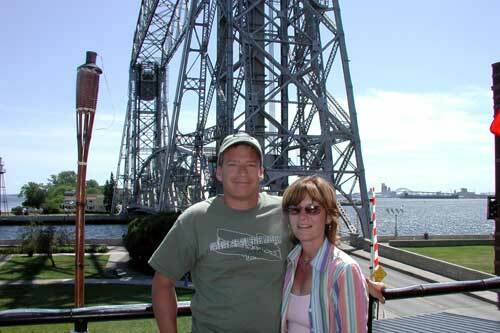 When we asked all the native Minnesotans we knew where a carefree couple should go for three days and two nights alone, they both suggested Duluth. This was somewhat surprising, to say the least. Either Duluth is the best kept secret outside the Midwest, or there was a standard Minnesotan inside joke played at the expense of unsuspecting tourists. Either way, we had uncovered a conspiracy. We decided to play gullible and go along with their suggestion. 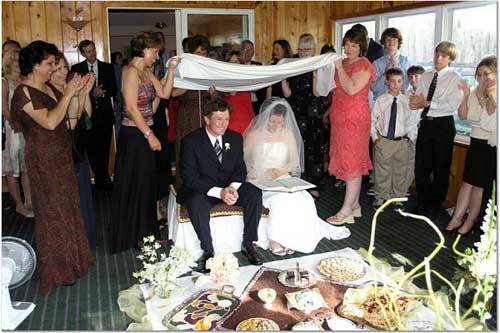 There was the little matter of Keith's brother Ken getting married. After their time in Duluth, Kristi and Keith told Ken and Minoosh, "Put us to work" so they spent their Thursday and Friday trimming bushes, creating and copying fliers for guests explaining the Persian wedding, fixing doors, and doing whatever an overwhelmed bride and groom needed to be done. Keith was also asked to act as official wedding photographer; that didn't flatter him at all. Monday was a travel day, to move from the Sherwoods in Minnesota to the Raffertys in Illinois. The only other time we had done this we took the Interstate through Wisconsin. So this time we decided on country roads through Iowa. Actually we decided on divided highways as shown on the map, but summer construction detours in Iowa turned it into country roads. 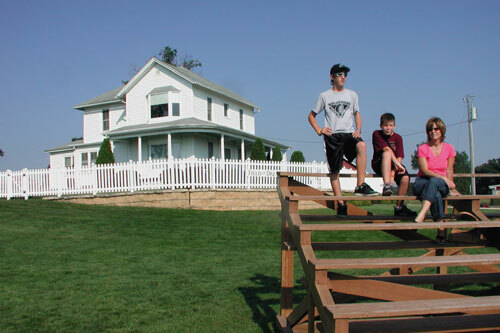 The one target we had in between Roseville, Minnesota, and Bloomington, Illinois, was Dyersville, Iowa, home of the farmhouse and baseball field from the movie Field of Dreams. 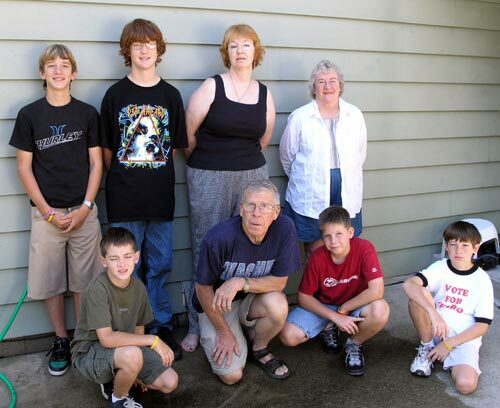 Our time with Kristi’s parents in Bloomington was similarly unstructured. We knew we wanted to get down to Springfield to see the new Lincoln Presidential Library and Museum, and at the other end of the spectrum we wanted to go to the McLean County Fair. 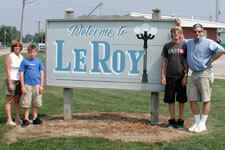 We also wanted to go to Kristi’s small hometown of LeRoy for a day, or an afternoon, or an hour if you drive real slow. 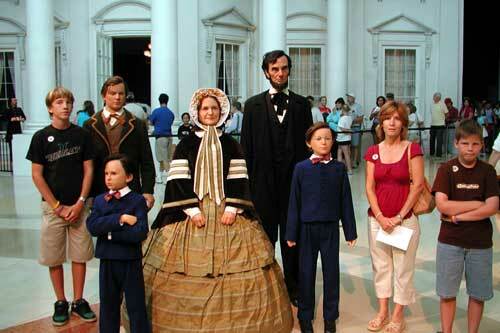 The Lincolns pose with the Sherwoods. On a day trip to the state capital, we saw the state Capitol, the new Lincoln Presidential Library and Museum, and Lincoln's tomb. It was a day of Lincoln in the Land of Lincoln.